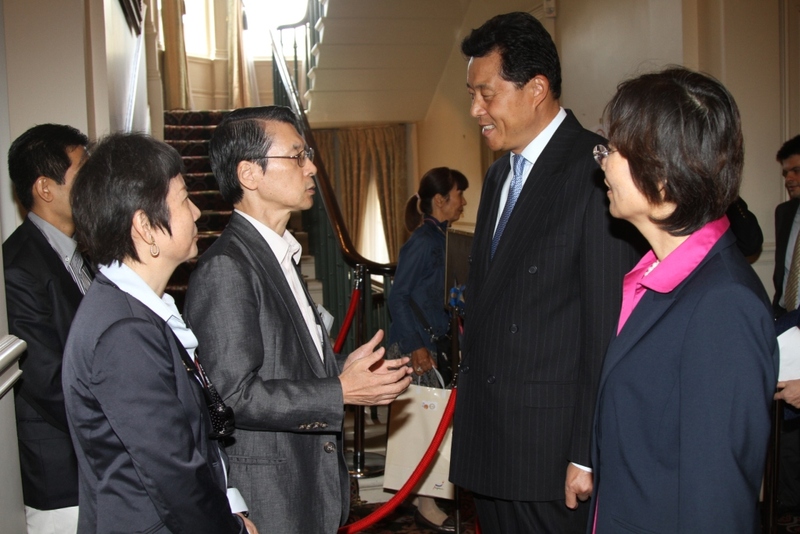 On June 6, 2011, at the invitation of Ambassador Keiichi Hayashi of the Embassy of Japan in the UK and his wife, Ambassador Liu Xiaoming and Madam Hu Pinghua attended the charity fair held by the Embassy of Japan in the UK for the children affected by the Japanese Earthquake on March 11. Ambassador Liu said to Ambassador Keiichi Hayashi that the Chinese people were sympathetic for Japanese people’s sufferings in the severe earthquake and the Chinese leaders, governments at all levels and non-governmental organizations were expressing sympathy, solicitude and support for the Japanese government and people in different ways. Chinese people hoped and believed that, with the help of international community, the Japanese people would overcome the disaster and rebuild their beautiful homeland. Ambassador Liu commended the commitment of the Embassy of Japan in the UK to disaster relief and expressed the Chinese Embassy’s readiness to help. 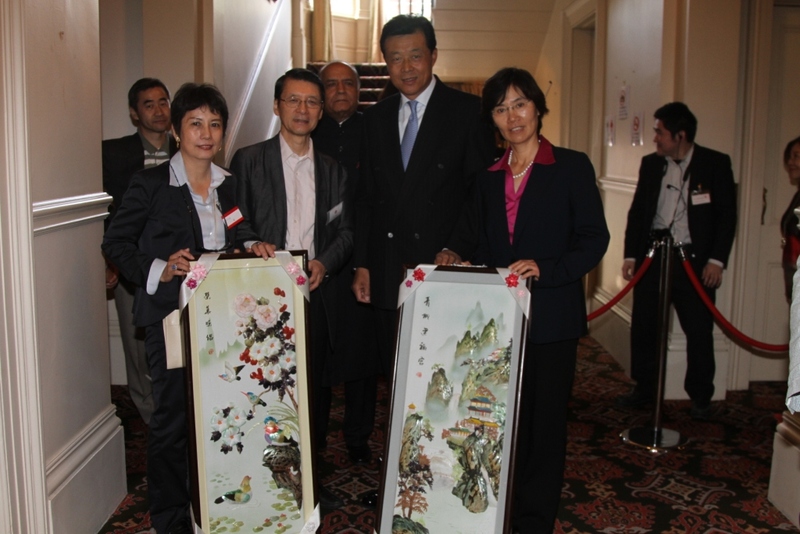 Ambassador Liu Xiaoming and Madam Hu Pinghua donated two Chinese hand-made shell carving pictures on behalf of the Chinese Embassy to show their support for the event. Ambassador Keiichi Hayashi thanked Ambassador Liu and Madam Hu for their presence and expressed his gratitude for the close attention and solicitude given by Ambassador Liu and Embassy of China in the UK since the earthquake on March 11. He also briefed Ambassador Liu and Madam Hu the progress of the relief work in Japan. This event was hosted by “Japanese Women Association in the UK” and the funds raised would be donated to Japanese organization “Save the Children” for rescuing the affected children in the earthquake on March 11. More than 100 people, including ambassadors and high commissioners of other countries in Britain and the representatives of non-governmental organizations, were present.